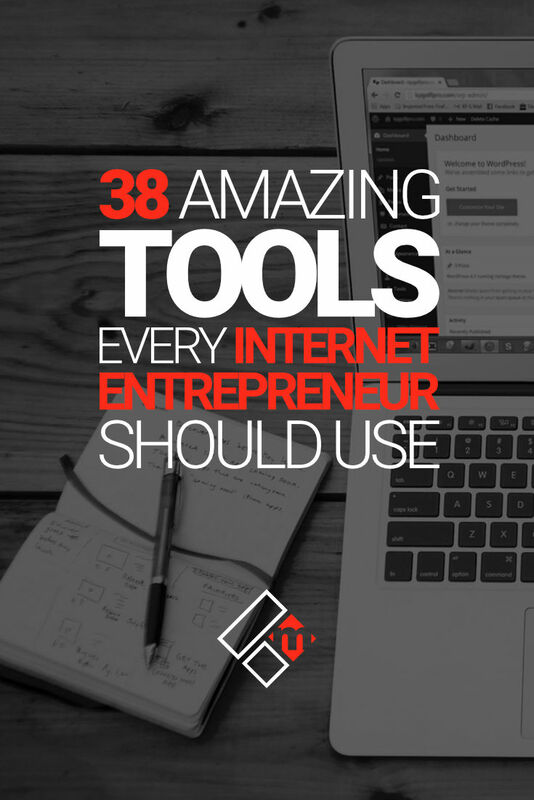 Are you spending too much time searching for the best tools to use in your online business? Well, hopefully, your search can now come to an end as an entrepreneur… Read on to learn why. Let me tell you something. I’m a complete sucker when it comes to online tools, really I am. I have to be honest with you, I suffer from what is called ‘shiny object’ syndrome. Have you heard of it? If not, check out what it means over on Entrepreneur.com. I mean, who doesn’t suffer from shiny object syndrome? Well, hopefully, I’m not alone in this. That being said, if it wasn’t for the small selection of tools I use in my business today, I think I would have given up a long time ago. Seriously, I’m not just saying that, either that or I would NOT be where I am today with my online business without the tools that I’m using right now. In this post, I want to share with you some of the best online tools that have helped me in my blogging, freelancing, and entrepreneurial journey so far. Chances are you’re already using some of these tools yourself, but perhaps there’s a few in here that are waiting to be discovered. Let’s waste no more time and drive straight in. Let’s start with the basic essentials needed for creating the perfect website, be it for your small startup company or your personal brand business. By the way, If you already have a website, then just skip this part altogether. 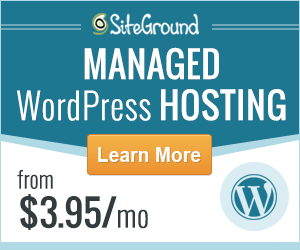 SiteGround – The most reliable and secure web hosting provider on the planet. At least that’s what I think. I’ve been using SiteGround since 2015. 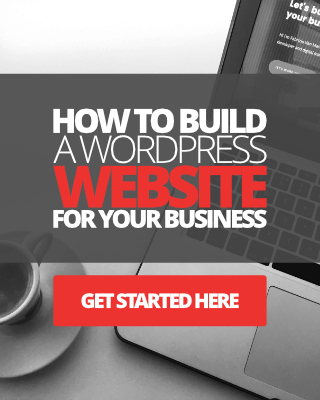 WordPress – The best and most versatile website building platform on the web. WordPress now powers 30% of all websites on the world wide web. 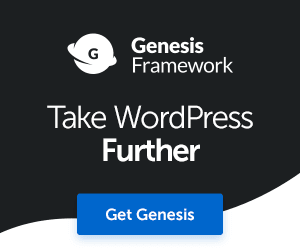 Genesis Theme Framework – World-class quality, secure, robust, SEO-friendly premium WordPress themes. Genesis powers half a million WordPress sites, including Magnet4Blogging. Gravity Forms – The most advanced contact form builder plugin for your WordPress website. You can also integrate GF with a host of third-party web-apps and services. WooCommerce – A fully customizable e-commerce platform for your WordPress website. Sell almost anything you want online. There is also a range of extensions available for WooCommerce. Now, let’s take a look at the best ’email’ tools every entrepreneur should use. Thrive Leads – The most advanced email opt-in form builder and list building plugin for WordPress, period. Thrive Leads comes with built-in advanced targeting and A/B split testing engine, conversion reports, and metric tools, plus more. Thrive Architect – A game-changing point, click, drag and drop, landing page builder plugin for WordPress. Magnet4Blogging’s homepage was designed and built using Thrive Architect. MailChimp – One of the most cost-effective and reliable email marketing providers you can use for growing your internet business. With the tools and services I’ve already mentioned above, you can do a lot of damage and grow a great business online. Now we move onto the best analytical and conversion tools, because after all, as an entrepreneur, you want to get the best results from your marketing efforts, right? And there’s no better way to get the best by analyzing and testing your ideas and strategies. Google Analytics – A powerful free website traffic analytical and reporting tool provided by Google. Google Analytics is one tool all internet entrepreneurs should be using. 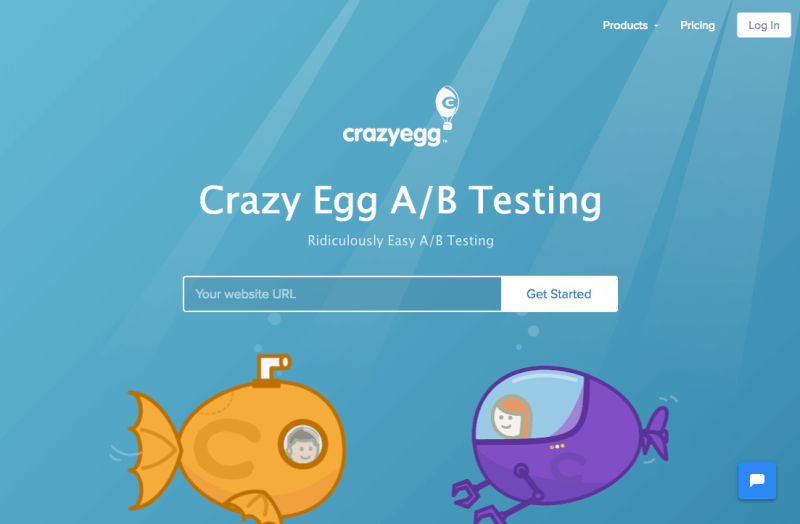 Crazy Egg – A super useful, simple-to-use, cost-effective visitor behavior tracking, click heatmap, scroll map, A/B testing service for entrepreneurs serious about customer interests and conversion optimization. 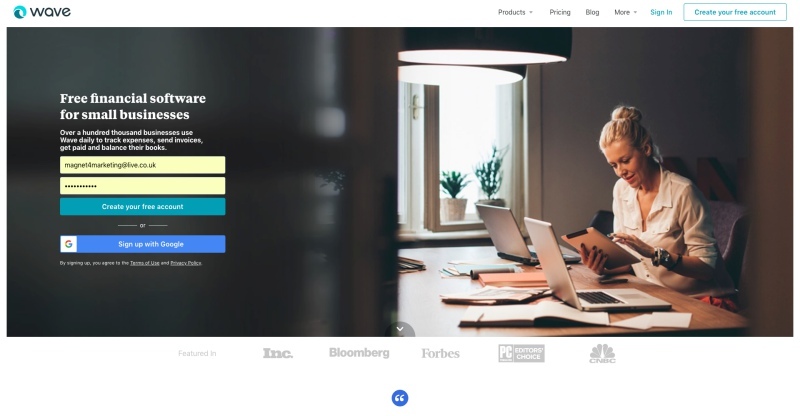 Thrive Optimize – A powerful add-on plugin for Thrive Architect that lets you test multiple variations of any landing page in your WordPress site. Check out my review and tutorial for this plugin here. As the money starts to flow, you’ll need to keep track of your income and expenses and make it easy for your customers to transact with your online business. WaveApp – A free financial, invoicing, accounting software for small businesses, entrepreneurs, and bloggers. PayPal – PayPal has built a rock-solid reputation for themselves over the years, and it is by far the most trusted and reliable online payment service that all entrepreneurs should be using. Stripe – Stripe is one of my favorite apps. It’s great for entrepreneurs wanting to receive payments over the internet directly into their account. It’s also extremely cost-effective. Now, getting organized is critically important for an entrepreneur. These tools should help you do just that. CoSchedule – I started using CoSchedule about a month ago and my content planning and scheduling have never been more structured and organized. 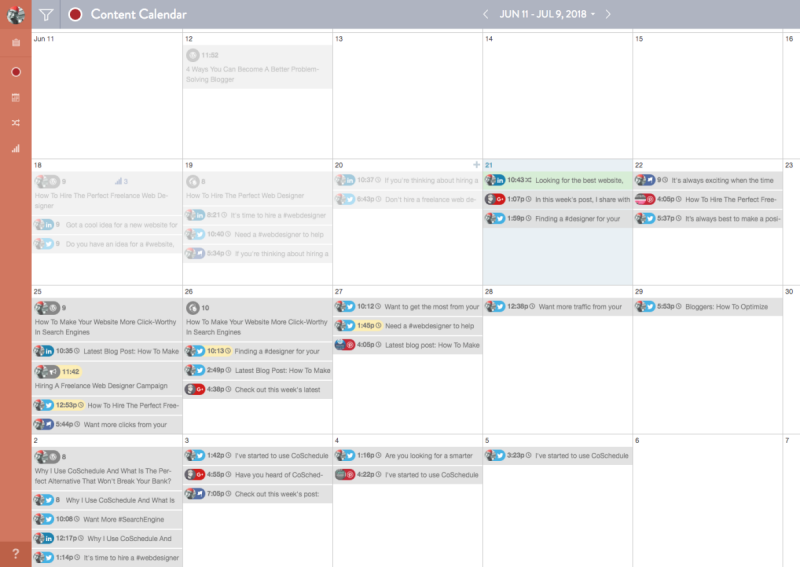 CoSchedule is not cheap, but it’s a fantastic option for those internet entrepreneurs heavily into content creation and scheduling, and social media marketers looking to manage their calendar more effectively. ScheduleOnce – If you’re looking for a meeting and appointment scheduling software to help you save time and get more smiles from your customers, then this is the tool to use. 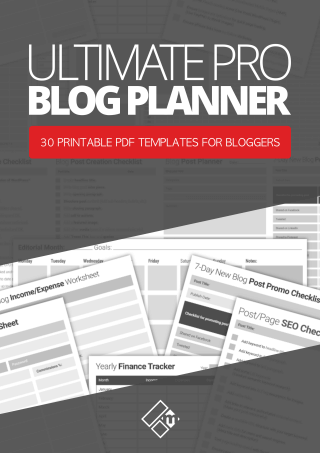 Ultimate Blog Planner – My little contribution. I created this cool 27-page blog planner template workbook to help bloggers become more organized, be more productive and to stay focused on reaching their blogging goals. Skype – If your entrepreneurial business is freelancing or providing a service, then there’s no better way to communicate with your clients than to use Skype. I’ve used Skype for many years and I can’t complain. Video conference calling is amazing through Skype, easy to set up and get started. Slack – As a freelance web designer and marketer, Slack has played a major roll in the day-to-day of running my online business. Slack is an awesome app for collaborating with your clients and anyone involved in your project. Everything from sharing ideas, uploading images, content, PDF’s, to having discussions with your team can be done in Slack. 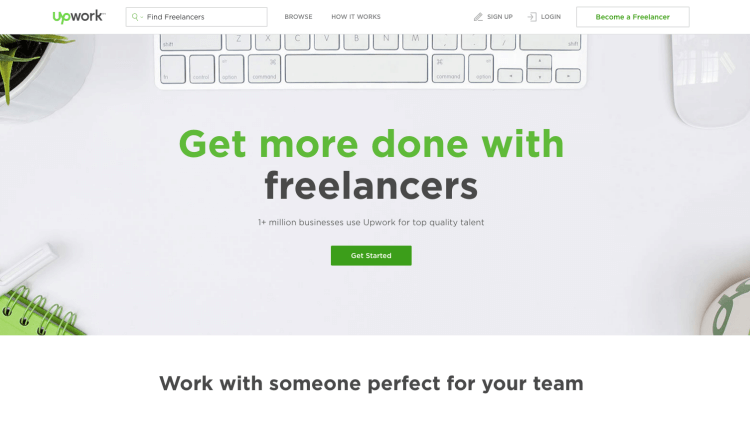 UpWork – I use UpWork primarily for finding content writers for personal and client projects, however, UpWork is also a great place for finding developers, web designers and creatives, VA’s and more for any project you’re working on. If you’re wondering whether UpWork is worth your time and money, do check out this detailed review of UpWork. Not all of the tools listed below are a must, however, a few are definitely essential. When it comes to communicating through marketing, visual content is King. It is said that 84% of communication will be visual by 2018. PhotoScape – The tool I use and recommend for quickly creating attractive graphics and images for my marketing campaigns. It’s free too. Canva – Another popular graphic design tool any entrepreneur can use without needing a degree in graphic design. Pablo – Now Pablo is truly awesome for creating attractive graphics and engaging visual content to use on your Pinterest, Instagram, Facebook, and Twitter campaigns. Animoto – Animoto is a premium online service which allows you to take your images, texts, video clips, and music files and turn them into cool videos to use in your marketing or your website. GoAnimate (No Vyond) – If you’re interested in creating animated style tutorials, demos, product insight, training videos, GoAnimate is the tool for you to consider. 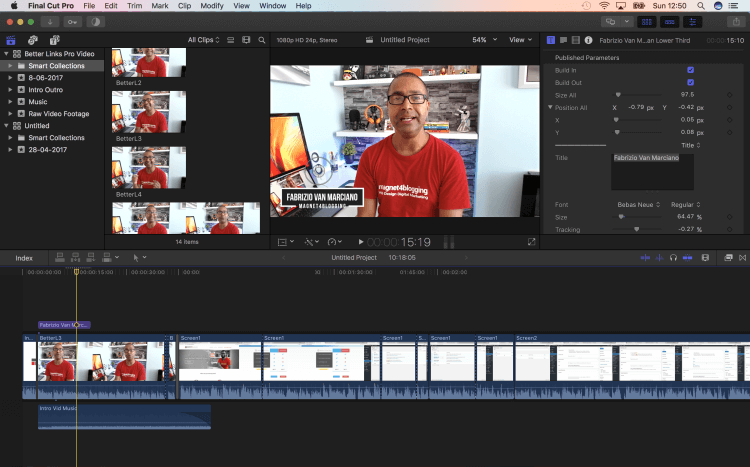 Final Cut Pro – If you’re on a Mac and are planning to create a lot of videos vlogs for your business, and I mean a lot, then investing in something like Final Cut Pro might well be beneficial for you. I invested in FCP in 2016 and I’ve not looked back since. I don’t have monthly fees to worry about and being a Mac Application, I get lifetime updates. Audacity – This is a free open-source, cross-platform software for recording audio content for your podcasts. I started with Audacity many moons ago, I no longer use Audacity as I now record my audio using GarageBand. YouTube – Every successful entrepreneur understands the importance of video marketing. YouTube is by far the ultimate platform for hosting and promoting your marketing videos and vlogs. Libsyn – An affordable audio content hosting platform with a host of features, including publishing your podcasts to iTunes, metric tools, and more. Anchor App – A mobile app for recording and distributing audio content on the fly. Highly recommend for entrepreneurs on the go. Amazon Kindle Publishing – If you’re thinking about writing an eBook or two, where better to start than the Amazon Kindle Direct Publishing platform? Medium.com – If you’re not remotely interested in wasting your time and money setting up a blog, then Medium could be a perfect alternative solution for your business. If you have a website and want to incorporate a blog, again, Medium.com could be the ideal solution. Click here to learn how. CoSchedule – As well as scheduling your blog posts, email newsletters, and marketing campaigns, CoSchedule also gives you the power to schedule all your social marketing campaigns in one place. HootSuite – HS is one of the best social media management tools for entrepreneurs. Take care of all your social scheduling for Twitter, Facebook, Instagram, LinkedIn, Google+ and YouTube right here. 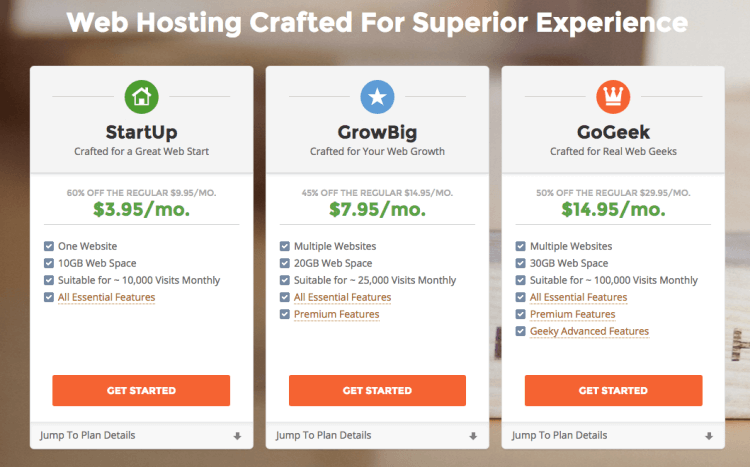 For the most part, HootSuite is free, with premium options that won’t break the bank. 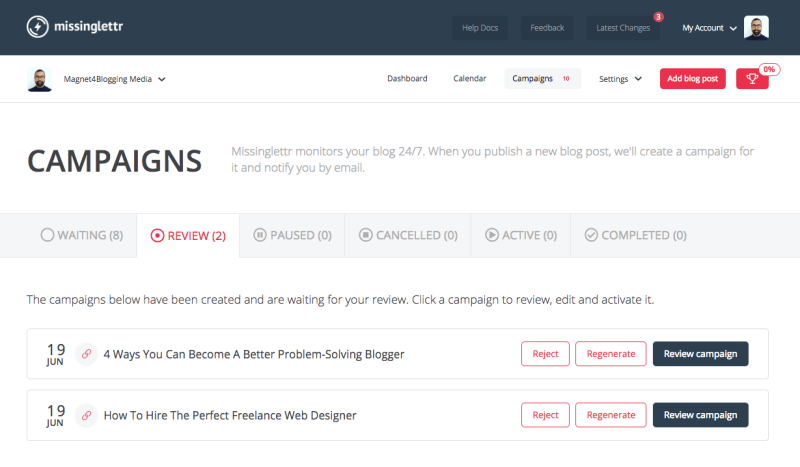 MissingLettr – MissingLettr cleverly crawls your blog for content and automatically creates social campaigns that you can review, edit and execute. it is a HUGE time-saving tool for bloggers and content creators. Great for giving some of your old blog posts the social media exposure it deserves. Payhip – My ultimate favorite eBook and digital product hosting, selling platform. You can learn how and why here. Payhip is so easy to set up and use and extremely cost-effective. Selz – Another popular digital download hosting and selling platform to consider. DropBox – Whether you’re an entrepreneur going it alone, or heading a creative team for your new project, DropBox is perfect for storing and sharing files and docs to access across your devices, and most importantly, for keeping your workflow clean. Amazon S3 – Last on my list is Amazon Cloud Object Storage. Now, there are many benefits for using cloud storage like Amazon S3, for me, however, it’s where I store most of my project files, including blog post images, landing pages graphics, videos, and more. So there you have it, a nice roundup list that I’m sure will keep you busy for a while. Remember, the idea is not to go out and sign up to every single tool, app, platform, or service I’ve mentioned in this list, but to take a small handful that you believe will help you become more productive, stay focused, and help you to move your entrepreneurial/blogging venture forward. Have I missed any tool in this list that is worthy of a mention? Leave me your comments below if you like. Hey bro, excellent list of tools. As you said whether you are in to blogging, freelancing or entrepreneurship, you definitely need access to the right tools. One common issue I notice often with beginners, they always look for free stuff and never spend any money on buying tools or premium plugins. Just like any other business, building a website takes investment. You should be willing to spend few hundred bucks if you really want to grow your business online. I often say that it takes money to make money and spending money on the right tools is one of the best investments anyone can make. Coming to the list of tools, I personally like Crazy Egg, Canva and HootSuite from the list and I’ve been using them all for a long time now. They are worth every penny (Canva is free though). I also really like SEMrush as you can easily perform competitor research and bring a ton of search engine traffic if you spend enough time on keyword research part. Thanks so much for sharing the list, I’ll have to give a try to few other tools like WaveApp and Slack. Thanks for checking out the list here and leaving your comment. I definitely agree with you on the “investing in your business part”. I’ve seen this too, so many folks want to build their way up either for free or on a super shoe-string budget. Like you rightly said, sometimes to grow you have to invest a little money here and there. This year I’ve let my hair down a bit (not that I have any hair to let down lol), and invested in a few new tools and apps in order to help me get more organized and be productive as a blogger and freelancer, and I’m so glad I did. If you’re not using the WaveApp, I really recommend it for managing the income and expense of your business. All the best mate, take care.